Fundamentals Children’s Books in Delaware will welcome award-winning author and illustrator Daniel Kirk for an event Saturday morning. 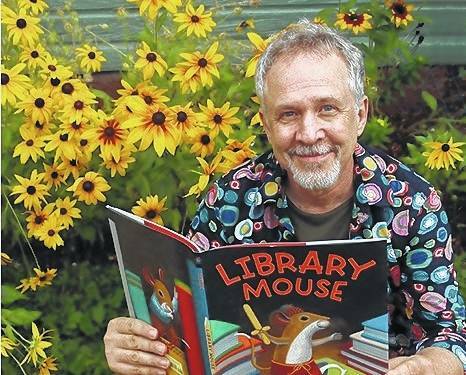 Kirk, the author of more than 40 books for children, will talk about his titles, and his art, as well as sign copies of his books for fans. In addition, attendees will be able to draw along with Kirk, with all art materials supplied by Fundamentals at no charge. The event starts at 11 a.m., but stop in anytime before 12:30 p.m.
Kirk grew up in Ohio, spending his early years with a crayon in his hand, and his nose in a book. Since his parents were professional puppeteers, storytelling was a big part of Kirk’s upbringing. As a child he devoted every free moment to writing and drawing his own comic books, games, maps, storybooks and magazines. As a teen he created scores of paintings and drawings, entering exhibits and winning awards across the state. He graduated from The Ohio State University with a degree in education, and after a few years teaching art and photography he moved to New York City to become an illustrator. His work has appeared in The New York Times, the Boston Globe, Newsweek, Business Week, New York Magazine, Sports Illustrated, and numerous other publications. He has illustrated everything from postage stamps to billboards and posters including the Macy’s Thanksgiving Day Parade. His work has appeared in product packaging for products as diverse as coffee, cat food, chocolate, Pepsi, bread and perfume. Kirk came to picture books after becoming a father, and spending countless hours reading and enjoying the books he shared with his children. Combining words and images to tell a story was the perfect way to express all the different facets of his creativity, and Kirk began a new career as a children’s book author and illustrator. His work has been widely exhibited and won many awards and accolades from professional organizations and publications. He lives in New Jersey with his wife and pet rabbit, and his three creative children, who are now grown and live in Brooklyn.